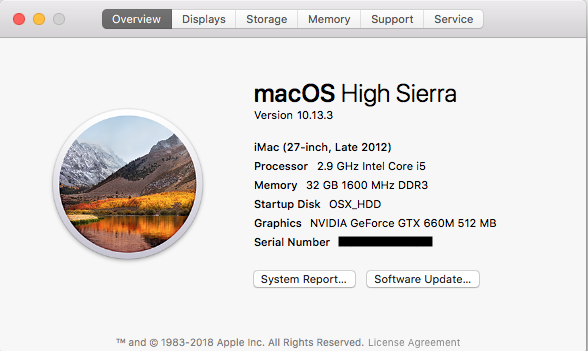 Yes, it is a MAC. I was not aware there was any firmware coming with the Cura update...? Thanks for response so far. However the changes made to the source code was only documentation so we didn't make a new build of the Ultimaker 2 firmware for that. If there was a bug with the firmware of the Ultimaker 2, I wouldn't expect it to change with Cura 3.2. I would think that it was Cura at fault, so then it would appear in the g-code. don't think it's the firmware since it only happens with prints sliced with Cura 3.2 and not with 3.1 on my printer with the same firmware (_2.6.2). Good to know. Over in the French forum they seem to be finding this is only happening on macs. 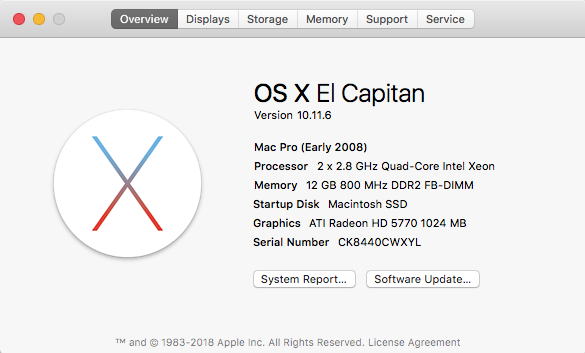 Can you confirm your os? 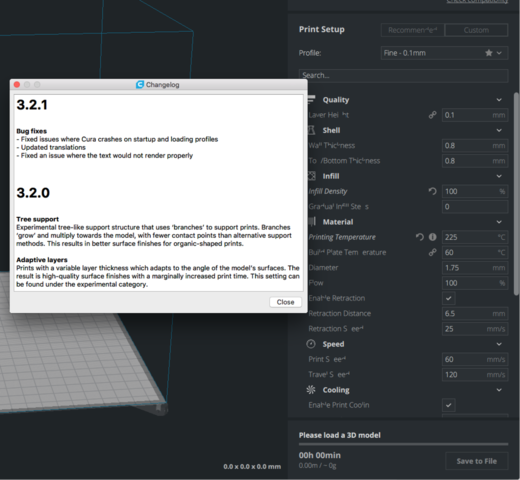 @tinkergnome - is still convinced that cura 3.2 has different firmware than cura 3.1 (even though both say 2.6.2). All I know is that this is a problem on at least 3 different forum topics right now and it is a hot topic. 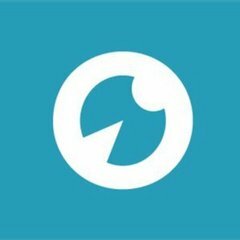 @Tafelspitz - are you absolutely certain you didn't install a USB cable between your computer and your printer and update the firmware on your printer? Because there is a code change in the firmware that would explain everything. But only if you updated your firmware when you switched to Cura 3.2. Short answer: Yes, I'm absolutely, positively sure. And let me qualify this statement by saying that I would have to physically haul the printer across the room to even get it in range for an USB cable. Long answer: I bought my UM2+ early in January. While setting it up, I installed Cura 3.1, which was the latest version back then, and updated the printer's firmware. I then disconnected the USB cable and moved the printer to its dedicated place across the room, where it sits ever since. I did many successful prints with 3.1. After the 3.2 beta came out, I wanted to give it a try, so I installed it along 3.1 and sliced a couple of things with this beta version. All of them failed due to the problem in question. I posted about this in the other thread, deleted 3.2 Beta and again successfully printed stuff sliced with 3.1. Along came 3.2 stable. I decided to give it a go and everything I printed with it instantly failed again. So I once again went back to 3.1 and everything is printing fine once again. Just the other day I printed some more filament spool clips from a file I had on my memory card. The print failed and I just then remembered that the file in question was sliced with 3.2 beta back then. - The printer firmware is from Cura 3.1. - Everything sliced with Cura 3.2.x fails. Thanks. Good to see the problem has been identified. 3.2.1 When I quit Cura it sometimes looses its printer. When I come back it asks to add a printer... I have had to re-add my CR-10 several times! Please go the Help -> Show configuration folder and locate the file named cura.log. Upload that file to a cloud drive of your choice and post a link here. It may be good to mention that printer definitions are now loaded when you add a printer. Instead of loading all available printers on startup. It enables Ultimaker Cura to have a reduced startup time compared to previous versions. I don't think this is true. If there is a syntax error in any of the printer definition JSON files, Cura will crash. Barring that issue, I think what is being said is that instead of loading every printer def at the beginning, it will only load the ones you choose. People used to get rid of all the printer defs except the one(s) they wanted to use. That is how I understand the statement. And, my Cura does load a lot faster than before. And, if it loaded all of them and one was defective, then you would crash anyway. 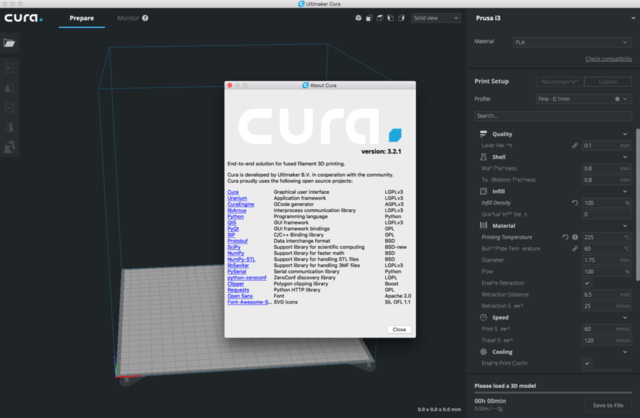 On startup Cura still loads the names and some other metadata if all defined printers, but no longer all the settings, profiles and materials associated with all of the defined printers. Thats why it stll crashes on broken definitions, when it tries to read the definition for the name metadata. Thanks for clearing up this for at least my understanding. If you are interested, Ultimaker Cura 3.3 | Beta was just released Here is a link to the post with some more information! Thanks for the info. I will try this new release of Cura. I have an scad design of a cable chain link that Cura doesn't seem to be able to lay flat. I fired up a calculator and wrote some code to rotate and flatten it and it works fine. Not complaining, but Cura 3.3.1 had a hell of a time dealing with footprinting this shape. 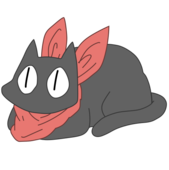 What I can do is offer it up for testing purposes. Lines 87 and 88 are commented out, these are the lines that rotate and flatten the model. It prints fine with those, without it the model does not flatten once rotated. It seems to but the print fails and it's obvious by the footprint that we aren't on the same wavelength! Hmm, I can't upload an scad file, if I don't do that you lose the metrics. Let me know if you want the design and how I can send it to you. Thanks for making this excellent software available.